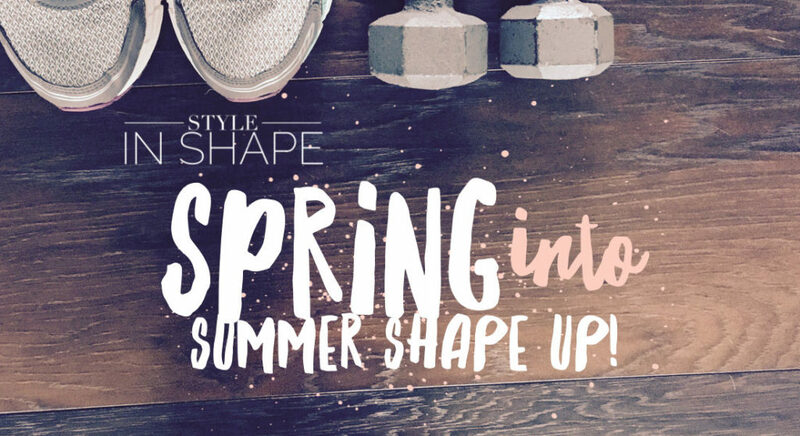 Spring is in full force now that May is approaching on us this weekend.. which means bathing suit season is right on our heels! 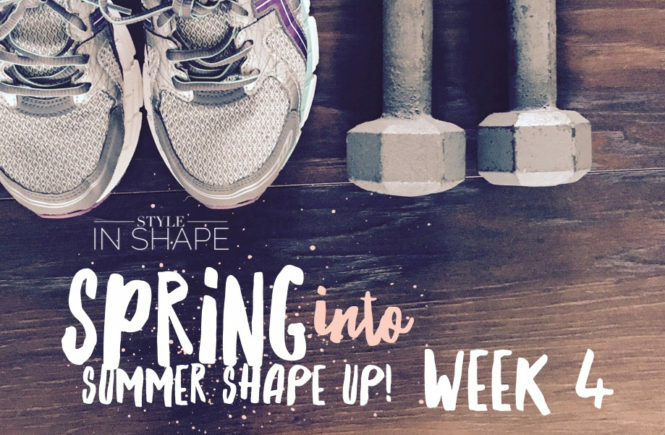 I don’t know about you but I think May is a perfect month to kick workouts into high gear to get ready for those tanks and shorts. 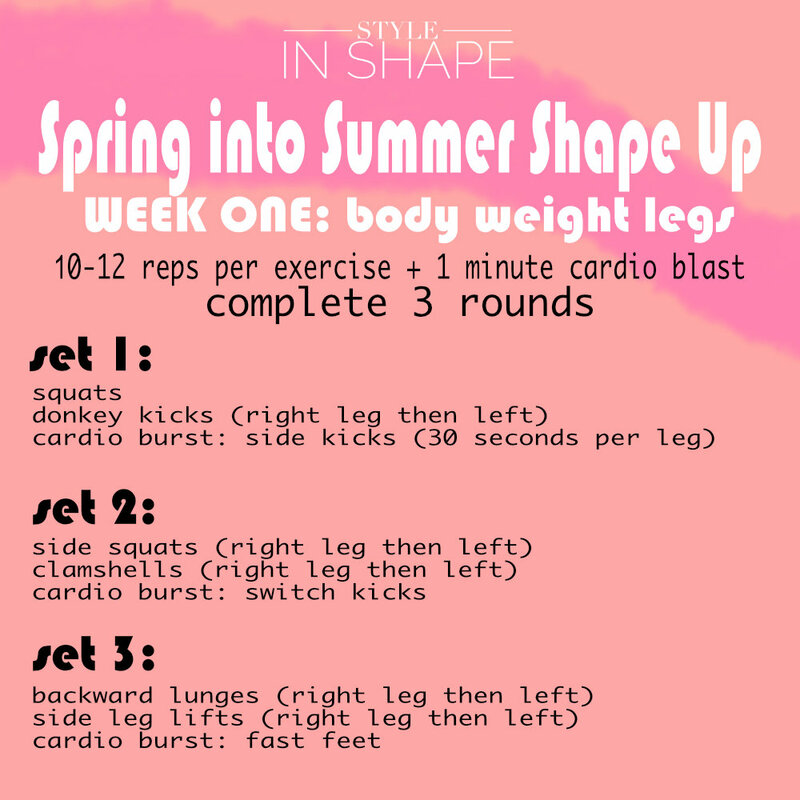 I spent time this week designing the first ever Style in Shape: Spring into Summer Shape Up! 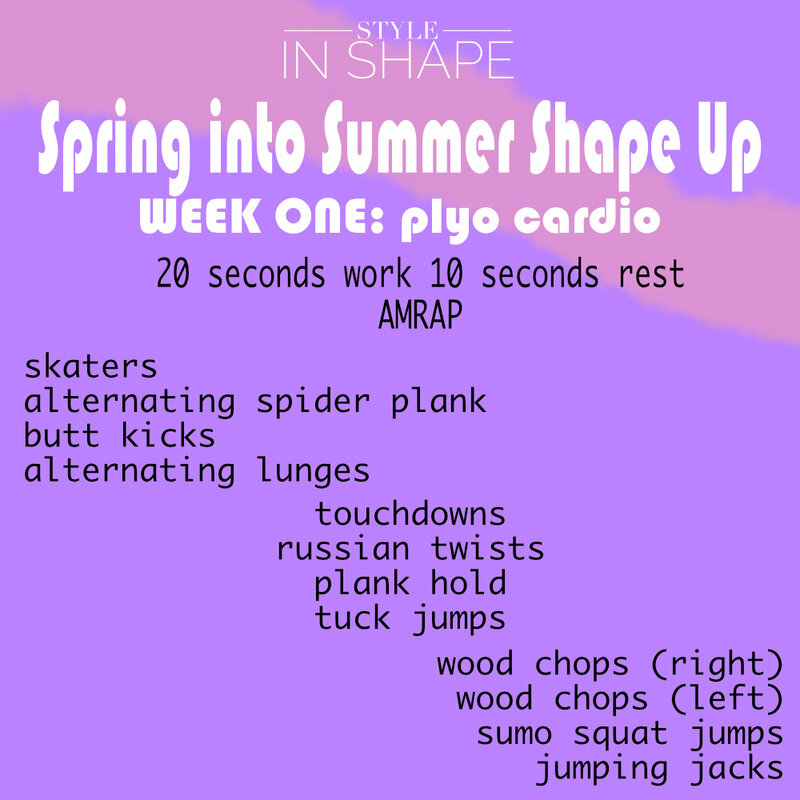 I’ve come up with 25 unique workouts to burn through the month of May. 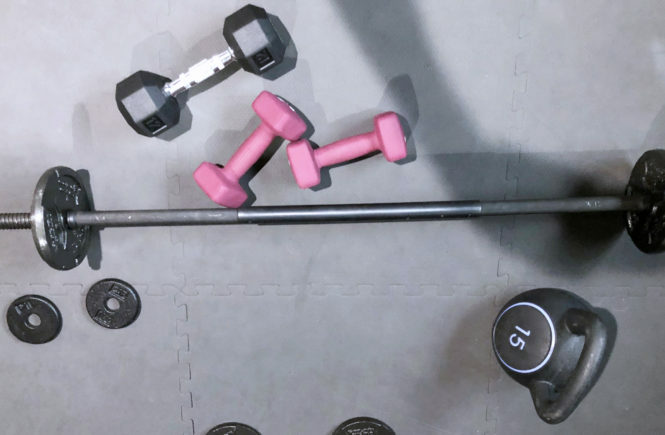 Some days will be weight focused while others will be all about equipment free. 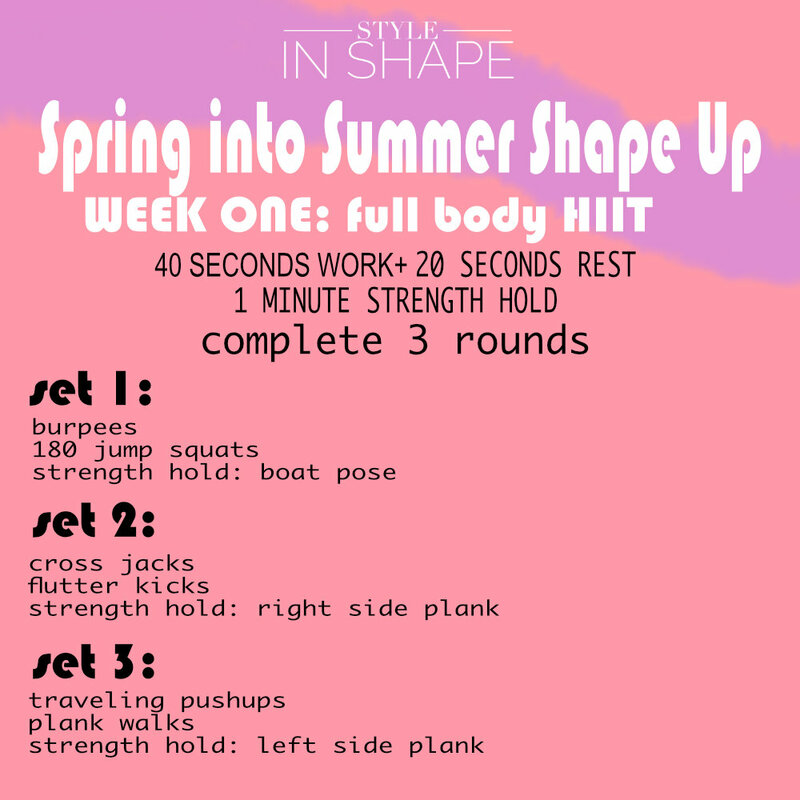 I’ve done very little at repeating exercises throughout the month in hopes to keep my mind and body from getting bored. 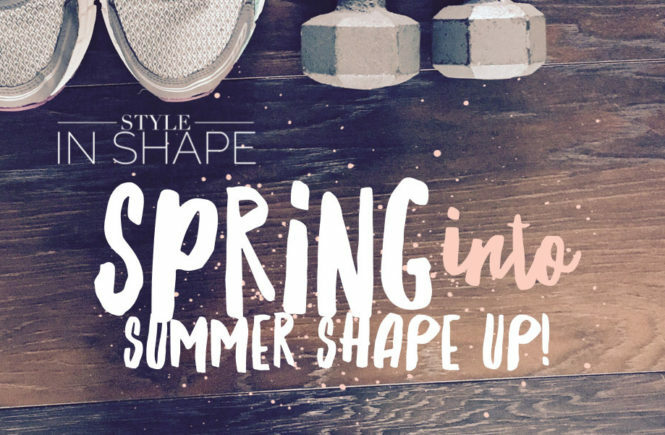 I’d LOVE for you to join the Spring into Summer Shape Up! 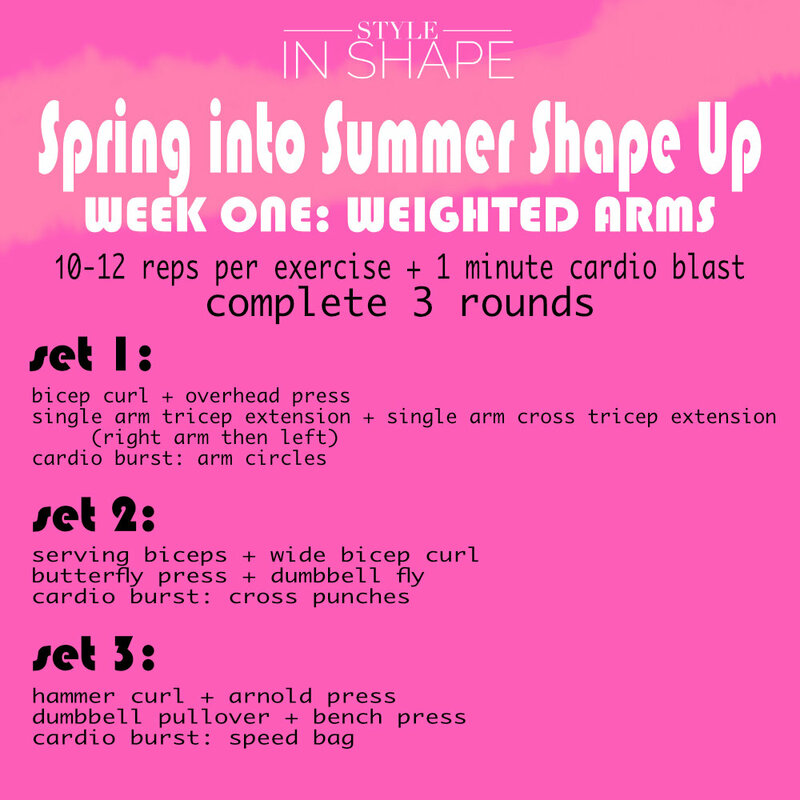 Check back here every Friday (starting today) for the following week’s plan and workouts. 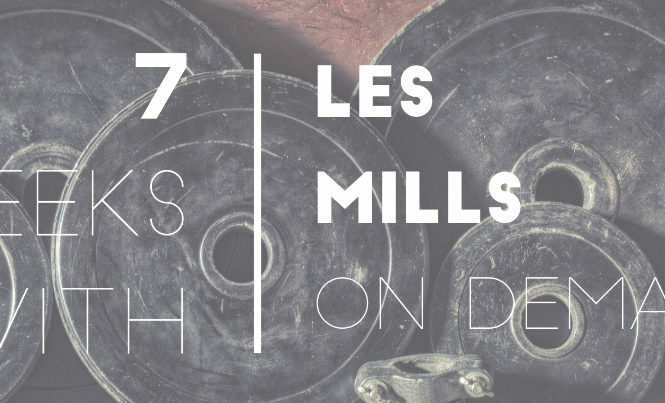 Join me on Instagram for daily check-ins and accountability! 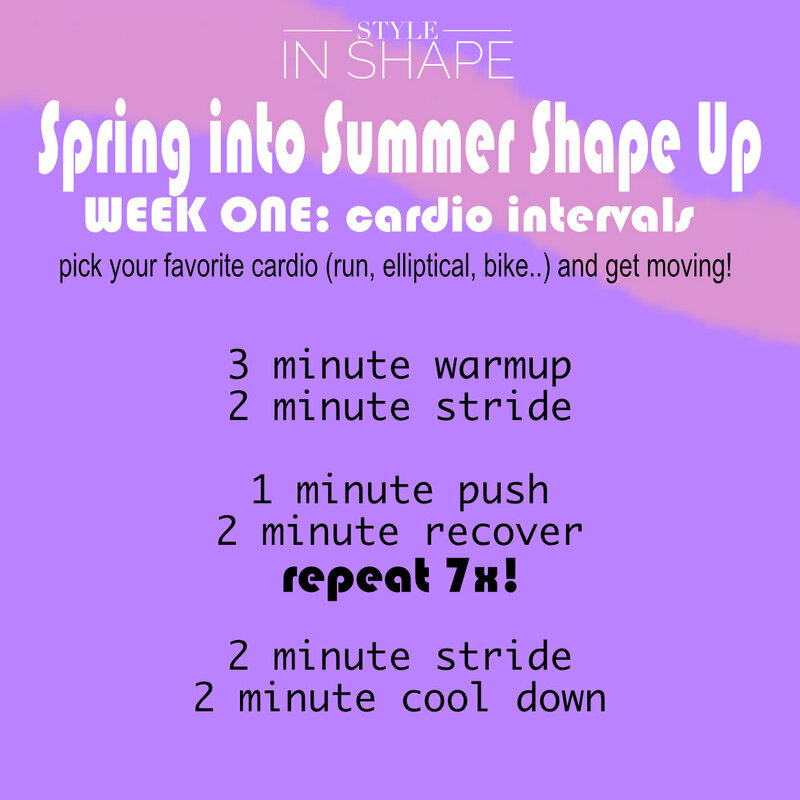 Use the hashtag #sisSpringIntoSummer for all your awesome posts! I’m so excited for this you guys! I’m so ready for a challenge and to melt off some more of my pregnancy weight. 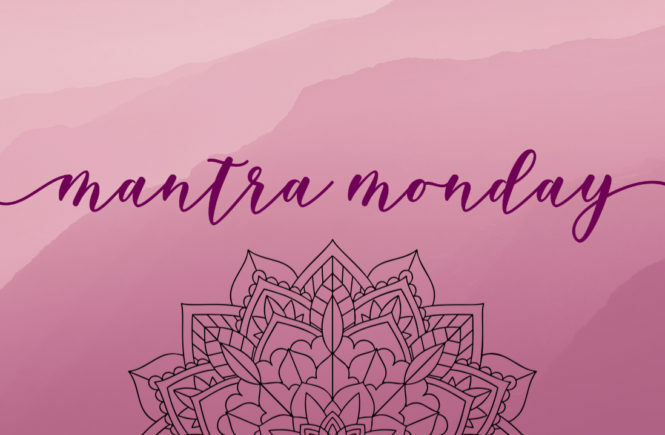 This weekend I’m meal planning and prepping so I’m ready to start the month off right! 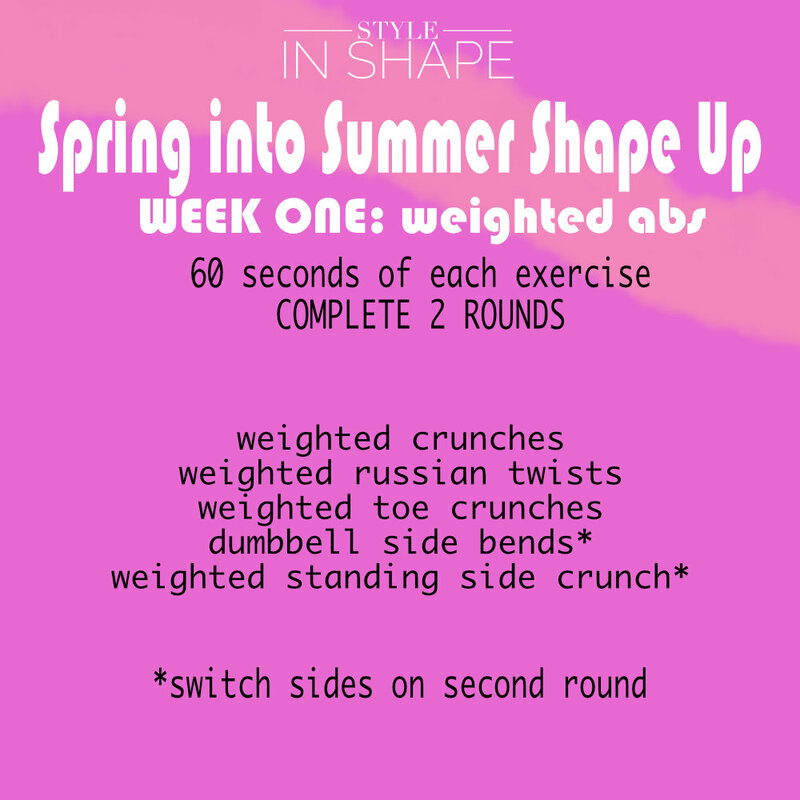 And of course each workout! Saturday: rest! You’ve earned it! 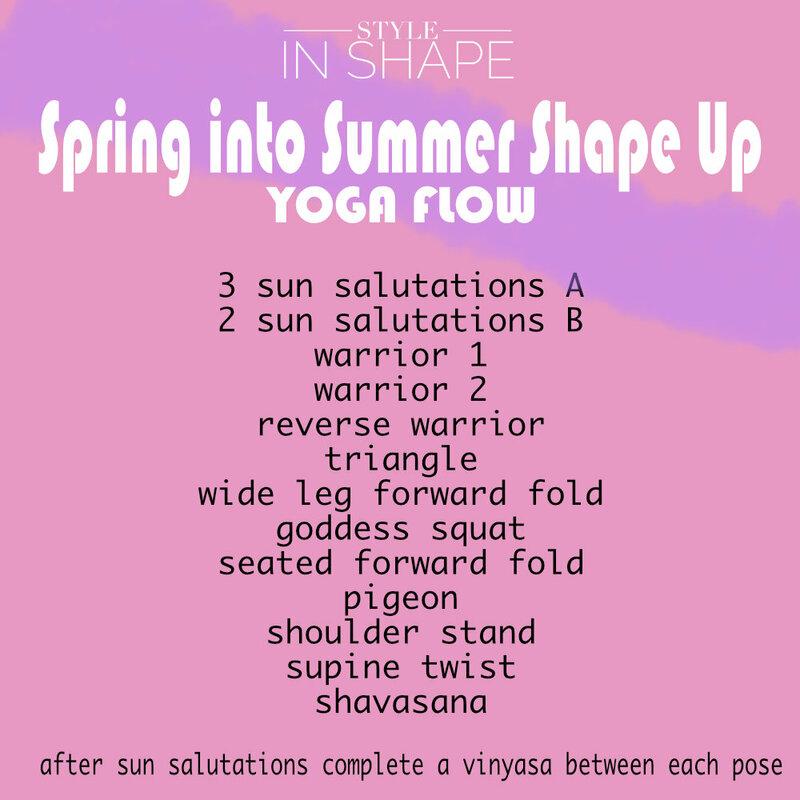 Sunday: Do your favorite yoga flow or stretches or follow along with this flow I created! 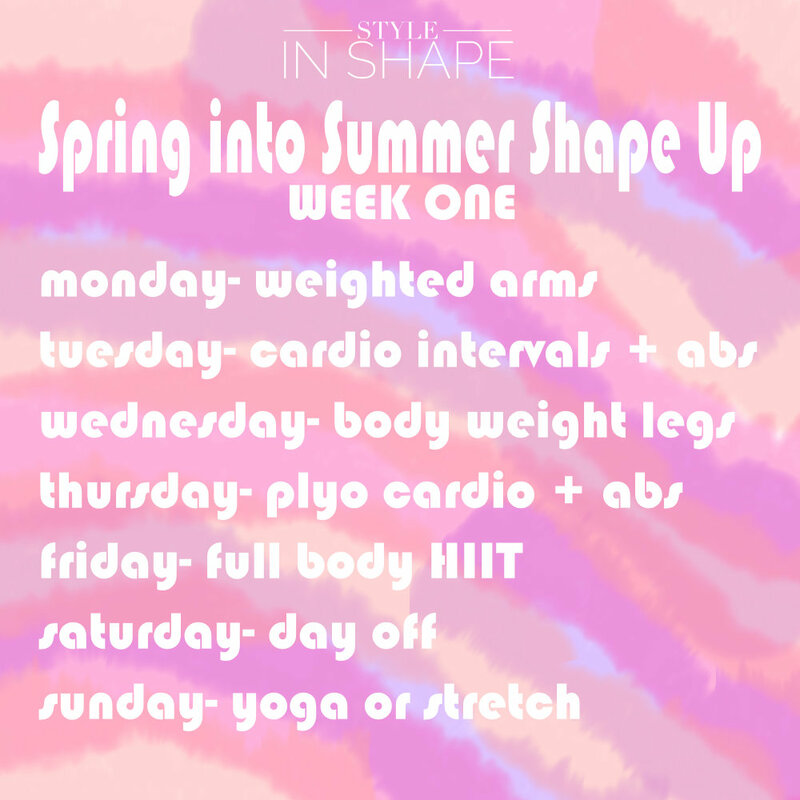 Can’t wait to see all you babes crushing goals this May! *a friendly reminder that I am not a certified personal instructor. 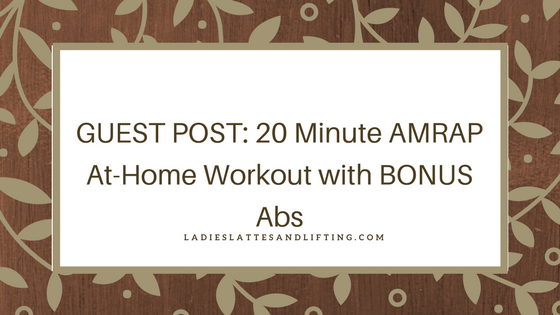 A workout that is right for me, may not be right for you. Proceed at your own risk.